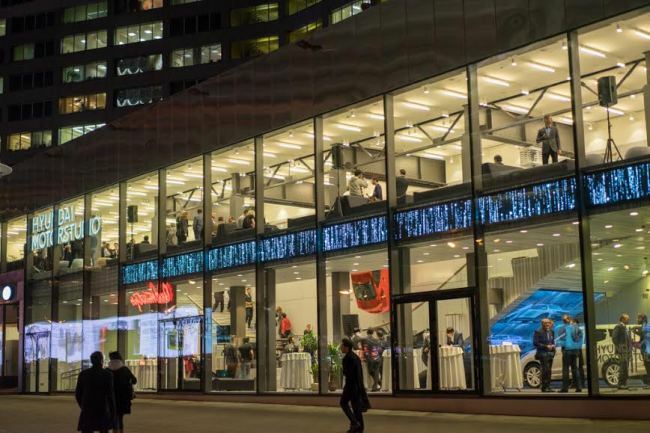 Hyundai Motor opened the “Hyundai Motorstudio Moscow” in the Russian capital Friday. This is the first overseas studio for the world’s fifth-largest carmaker. The 880-square-meter studio surrounded by glass walls has Hyundai’s best-selling model, the Solaris, attached to the front wall. The Solaris is sold as the Avante in Korea and several other countries. NEXTHyundai, Kia luxury lineups expand market share in U.S.